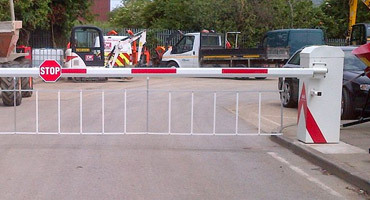 Our Hoop Barriers are designed to secure vehicles on a car sales forecourt without hindering pedestrian access or restricting visibility. 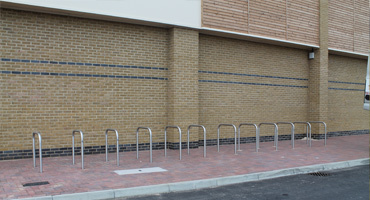 Also used in many other applications such as shopping trolley bays, for securing bikes and motorcycles, marking boundaries and to protect vulnerable entrances and exits. Available in mild steel, stainless steel, galvanised finish or polyester powder coated. 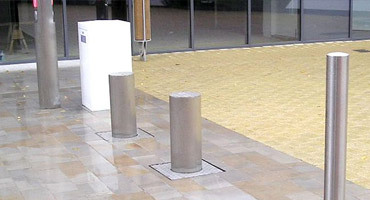 Available in 48mm, 60mm and 89mm Ø tubing, the barriers can be manufactured to any specified height and width and can be concreted into the ground, baseplated for surface mount, or supplied with ground sockets to enable removal of the hoop. 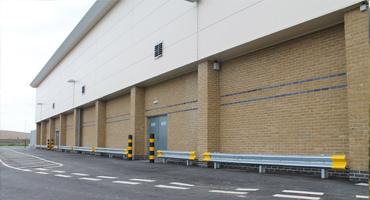 Finish: All our barriers are galvanised to BS EN ISO 1461 and can be polyester powder coated to most RAL or BS colour references.